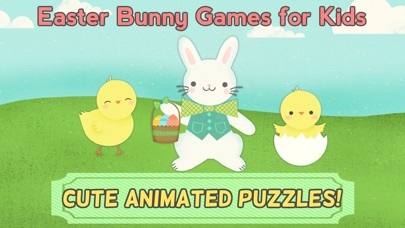 Easter Bunny Games for Kids is a cute puzzle app that provides children with a number of puzzles to explore and enjoy. 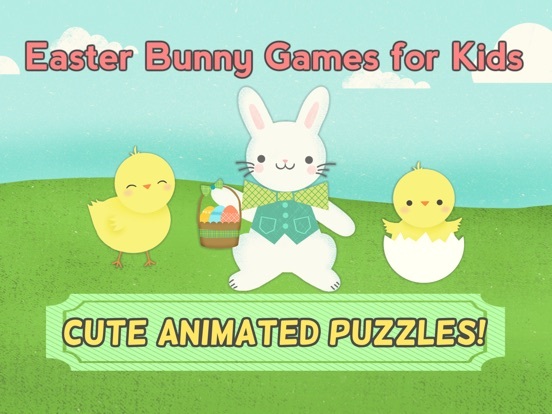 With cute illustrations and celebratory animations, and a fun egg hunt activity once the puzzle is complete, this simple app is a fun way for children to practice their problem solving skills. 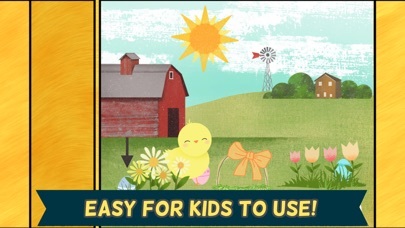 Easter Bunny Games for Kids is an app full of cute, whimsical illustrations that children are going to love. With a variety of bunnies, chicks, spring flowers, and lots of great colors, the images are very professional and engaging. 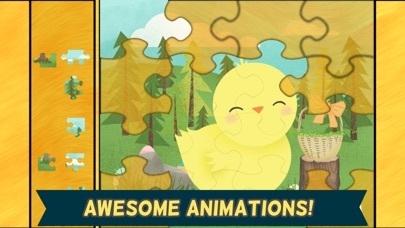 The simple animations included after each puzzle is completed are also well done and they add a bit of interest to this easy to use puzzle app. 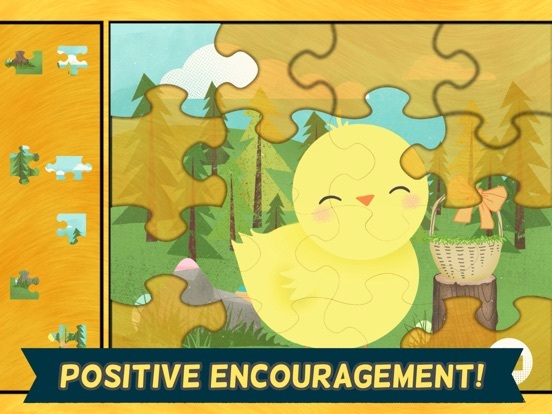 With 12 different puzzles and 3 difficulty levels, children are going to get a ton of practice using their problem solving skills as they piece each picture together. While it would be nice to include a few other educational games, the puzzle set up allows children to use their logic in the higher difficulty levels to test their skills which is great. 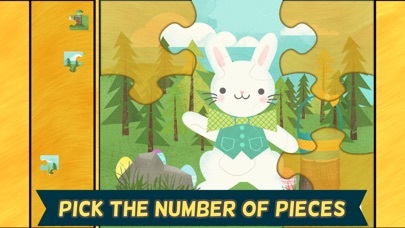 For children who love a good challenge and are particularly fond of puzzles, this app is a dream. With 12 different pictures and 3 difficulty levels players can work their way up through each level as they get better and better. 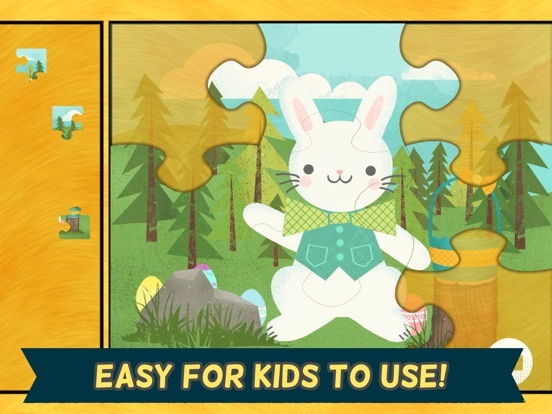 The 3 consist of a full-color template, a faded template, and no template which allows children to challenge themselves as they move through each puzzle. 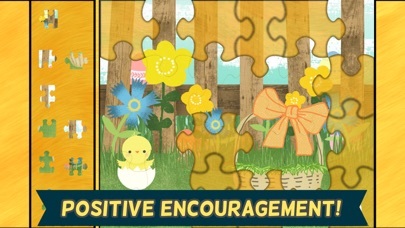 The developers have also included a fun egg hunt to play once each puzzle is complete. This fun game is a wonderful addition and helps to keep children engaged. Priced at just under two dollars this app is priced well. 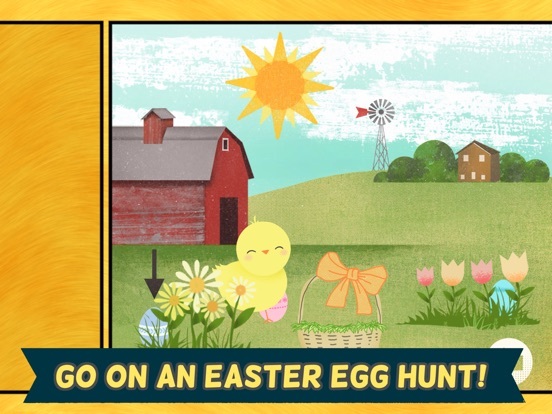 With 12 puzzles and 3 difficulty levels to enjoy, and the egg hunt activity, children will get a lot of playing time out of this app. While it would be nice to have additional activities, this isn’t an app that will break the bank. With simple drag and drop functioning, this app is easy for children of all ages to use. 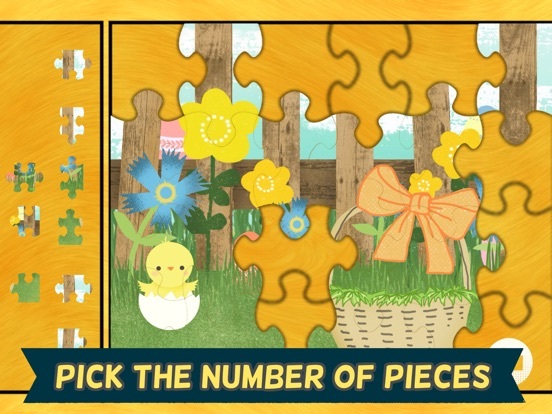 The 3 difficulty levels also make it easy for children new to puzzles to get the hang of it while using the templates. The developers have also done a nice job of creating an app that doesn’t require a lot of direction or assistance from parents.